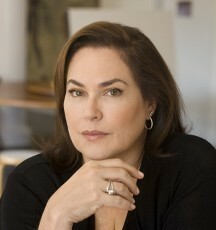 After her first planned visit was cancelled in October 2011 due to Winter Storm Alfred, Second Century was pleased to welcome author Amy Bloom to Glastonbury’s Riverfront Community Center on March 31. Amy talked of her early life and how she came to love and write books, and gave a reading from one of her short stories. Ms. Bloom is the bestselling author of novels “Away” and “Love Invents Us”, and three collections of short stories including “Where the God of Love Hangs Out.” She has written for publications such as The New Yorker and The New York Times Magazine. Amy lives in Connecticut and is currently Wesleyan University’s Writer-in-Residence. This entry was posted on April 5, 2012 by Second Century Fund in 2012, Events and tagged Authors, Book signings.